Barley a week after the three new launches, Mercedes-Benz has added another model its existing line up of cars in India. 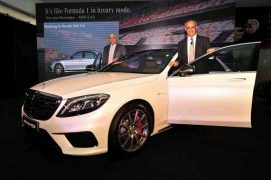 The vehicle in question is the S63 AMG sedan which has been added to the already strong line-up of 8 AMG vehicles currently sold in India. 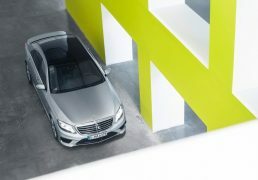 The announcement comes just days after Mercedes-Benz launched the S-Class coupe in the S500 and S63 AMG guises. 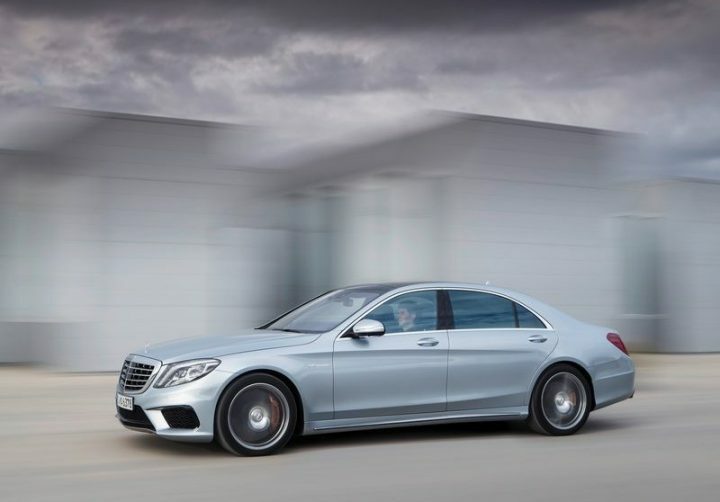 The German automobile giant has witnessed tremendous growth in the first half of 2015 with around a 41% sales increase. 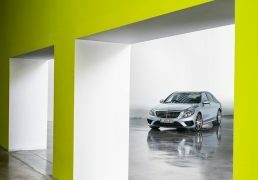 The S63 AMG sedan is be the 10th new launch this year with a total of 15 new launches promised by Mercedes-Benz by the end of 2015. 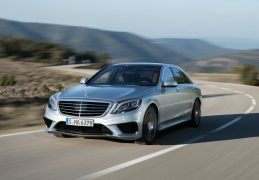 Read on to find out all there is to know about the Mercedes S63 AMG Sedan India launch, price, pics, specs, features, details. The launch took place on the 11th of August 2015 in Bangalore, Karnataka. 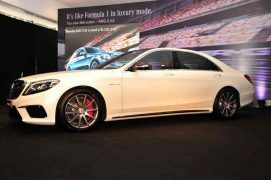 The Mercedes S63 AMG sedan will cost INR 2.53 Cr (ex-showroom, Bangalore). 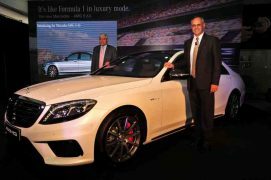 The standard S-Class is priced at INR 1.14 Cr for the S350 CDI and INR 1.44 Cr for the S500. 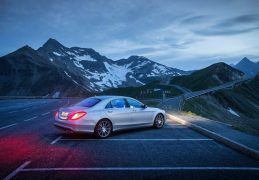 The Mercedes S-Class coupe retails for INR 2 Cr for the S500 Coupe and INR 2.60 Cr for the S63 AMG Coupe. 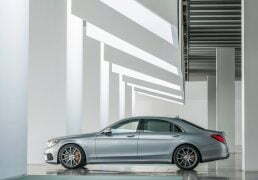 Powering the S63 AMG sedan is 5.5 litre twin turbo V8 engine which produces 577 bhp and 900 Nm of peak torque. This engine will be mated to a 7-speed automatic gearbox. 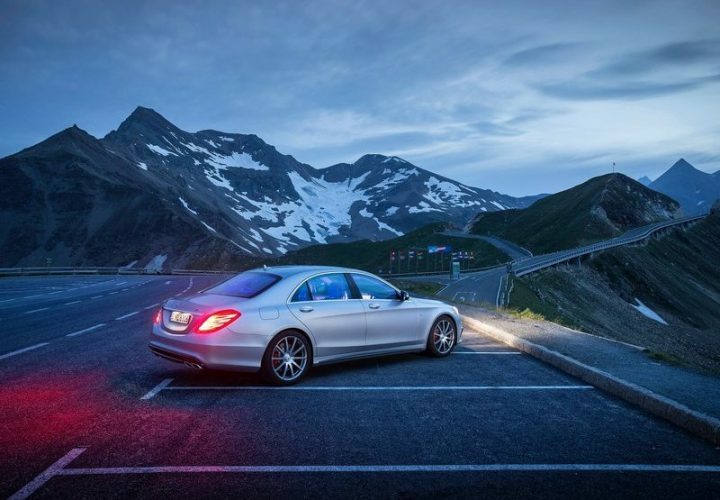 The AMG version of the S-Class coupe is lighter than the standard version by around 100 kg thanks to the usage of aluminium and carbon fibre components. 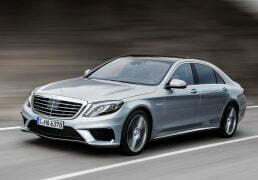 India is likely to get the rear wheel drive version which comes with the magic body control or Airmatic suspension.The S63 AMG sedan boasts of a 0-100 km/h time of just 4.4 seconds. 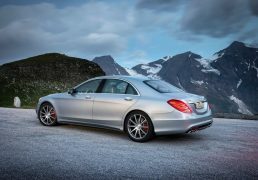 In terms of design and features, the S63 is almost identical to the sedan and coupe versions. 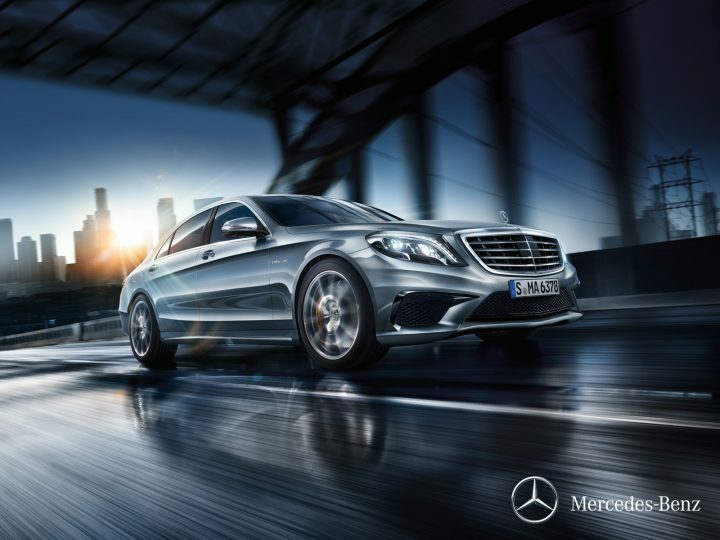 As part of the AMG treatment, the luxury sedan gets more aggressive detailing, lowered suspension, AMG alloys, etc. In the cabin, the wood trim inserts have been replaced by carbon fibre and the leather upholstery is completely black. 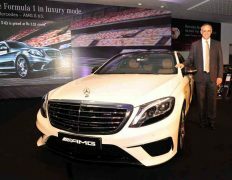 The S63 AMG sedan adds to the German car maker’s performance oriented AMG line-up in India which already includes the CLA 45 AMG, E63 AMG, GL63 AMG, GLA45 AMG, ML63 AMG, SLK55 AMG and S63 AMG Coupe. The car will be imported to India as a completely built unit or CBU. Till then, stay tuned to Car Blog India for more news and reviews from the automotive world.